Today we have Artyom Zorin on the show. 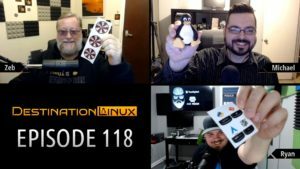 Your hosts this week are Rocco, Ryan, and Michael and this is Destination Linux. This week we are missing our partner in crime PZ.